Click on the book you like and download it today. If you prefer your books in another electronic format, like Kindle, you may use this website to convert it into your desired one. 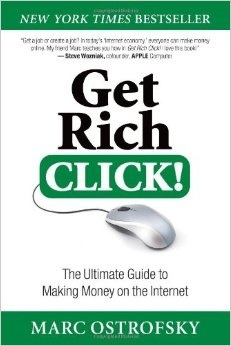 Get Rich Click : The Ultimate Guide to Making Money on the Internet. We get many "do you know anyway I can read the pdf on my kindle?" questions. yes we do. Follow the following easy steps. Step 2. Connect your Kindle to your computer via the USB outlet and save the mobi from the website to the "documents" file in your kindle. Step 3. If the file is saved correctly, now you can disconnect it from the computer and enjoy your pdf with your kindle.